Draft: 2011, Chicago Cubs, 1st rd. Javier had a breakout 2018 campaign in which he set career marks with a .290 average, 40 doubles, 34 homers and 111 RBI and was named the starting second baseman for the N.L. All-Star Team in the Mid-Summer Classic ... Finished second in the 2018 N.L. Most Valuable Player Award voting by the BBWAA, and earned his first career N.L. Silver Slugger Award ... Named as the Cubs finalist for the 2018 Hank Aaron Award (most outstanding offensive player in each league) ... was one of three finalists at second base for the Rawlings N.L. Gold Glove Award ... Is one of three Cubs since 1913 to appear in at least 150 games at both second base and shortstop ... has played six positions in his career (first base, second base, third base, shortstop, left field and right field) ... Named the 2016 NLCS co-MVP after going 7-for-23 with four doubles and five RBI ... Made his major league debut in 2014, three years after he was selected by the Cubs in the first round (ninth overall) of the 2011 draft ... Represented his native Puerto Rico in the 2017 World Baseball Classic, batting .296 (8-for-27) with a double, homer, five RBI, four runs scored and a WBC-high four stolen bases ... the Puerto Rican squad finished as the runner-up to Team USA ... Played for the World Team in the 2014 MLB Futures Game at Target Field in Minnesota ... hit a two-run homer ... Named the 2013 Cubs Minor League Player of the Year by the organization after combining to hit .282 (146-for- 517) with 34 doubles, four triples, 37 homers and 111 RBI in 130 games with Single-A Daytona and Double-A Tennessee ... Was named a mid-season and post-season All-Star in 2013 with Single-A Daytona ... was also a postseason All-Star with Tennessee that season ... Amassed a .287 batting average (438-for-1,524) with 88 doubles, 14 triples, 90 home runs and 301 RBI in 397 career minor league contests ... Named the Cubs top prospect heading into the 2013 and 2014 seasons by Baseball America ... was ranked as the organization's second-best prospect heading into 2012 by the publication ... Participated in both the 2013 and 2014 Cubs Rookie Development Programs in Chicago ... Graduated from Arlington Country Day School in Jacksonville, Fla., in 2011. Javier was named the starting second baseman for the N.L. All-Star Team and enjoyed a breakout campaign in which he led the National League with 111 RBI and led the team with 40 doubles, nine triples and 34 homers ... Was the first Cub to be the N.L. RBI champ since Sammy Sosa had 160 RBI in 2001 ... Finished second in the N.L. Most Valuable Player Award voting by the BBWAA ... Became the first player in franchise history to reach 40 doubles, 30 homers and 20 stolen bases in the same season ... became the first player in major league history to reach 40 doubles, nine triples, 34 homers, 111 RBI and 21 stolen bases in a single season ... Ranked among N.L. players in total bases (336, 3rd), extra-base hits (83, 2nd), runs scored (101, 8th), doubles (40, t-6th), triples (9, t-2nd), homers (34, t-7th), slugging (.554, 4th) and games played (160, t-8th) ... Became just the fifth Cub to record a 30-homer, 100-RBI campaign before or in their age 25 season, joining Ernie Banks (1955), Kris Bryant (2016), Anthony Rizzo (2015) and Ron Santo (1964, 1965) ... Became the first Cub with at least 20 homers and 20 steals since Corey Patterson in 2014 ... Became just the fourth Cubs middle infielder to reach the 30-homer mark, joining Rogers Hornsby in 1929, Ernie Banks (five times from 1955 and 1957-60) and Ryne Sandberg (twice in 1989-90) ... Became only the third middle infielder in club history to reach 111 RBI, the first since Ernie Banks drove in 117 runs in 1960 ... Led the team with 21 stolen bases, the most by a Cub since Tony Campana (30) and Starlin Castro (25) in 2012 ... Became the first second baseman in franchise history to record consecutive multi-homer games, April 10-11 vs. Pittsburgh … in fact, was the first player to turn the trick while manning a middle infield position for the Cubs ... Was the first Cub to record consecutive multi-homer efforts since Alfonso Soriano, May 16-17, 2008 vs. the Pirates ... Hit a game-tying three-run double in the midst of a nine-run rally in the eighth inning of the Cubs' 14-10 come-from-behind victory over Atlanta on April 14 ... finished the game with four RBI, the second of five games this season in which he finished with at least four RBI ... Had a career-high 11-game hitting streak, April 14-28 ... batted .400 (20-for-50) with seven doubles, three homers and 16 RBI during the stretch ... Reached 25 RBI prior to May 1, just the third Cub to do so in franchise history (Billy Williams had 25 RBI in 1970 and Derrek Lee had 28 RBI in 2005) ... May 7 vs. Miami, he belted his 10th homer of the season, reaching the mark in the team's 32nd game … that's the fewest amount of team games for any second baseman to reach the 10-homer mark in franchise history … in fact, the only Cubs middle infielder to reach 10 homers in fewer team games is Ernie Banks (10 in first 30 games in 1956) ... Stole home June 3 at the Mets, his third-career steal of home (second in the regular season) ... Went 4-for-5 with a double, two homers, including a grand slam, and five RBI, June 26 at the Dodgers ... also had a five-RBI game July 14 at San Diego ... Participated in the MLB Home Run Derby, July 16 at Nationals Park ... hit 16 homers in the first round, but fell victim to Max Muncy's 17 homers ... went 1-for-3 in the All-Star Game the following night ... was the leadoff hitter for the N.L. squad ... Hit his 25th homer of the season in his 110th game, August 5 in Kansas City ... became the third-fastest Cubs second baseman to 25 homers in a season, surpassed only by Ryne Sandberg in 1990 (92 games) and Rogers Hornsby in 1929 (106 games). Javier set career marks with 24 doubles, 23 homers and 75 RBI in 145 games for Chicago, batting .273 (128- for-469) with a .796 OPS ... made his first Opening Day 25-man roster after starting 2016 on the disabled list... Hit .315 (39-for-124) with nine homers against lefties and .258 (89-for-345) with 14 homers against righties... His .291 average (66-for-227) in the season's second half was 35 points higher than his .256 average (62-for242) in the first half ... his .851 OPS following the All-Star break was over 100 points higher than his .745 OPS in the first half... Batted .308 (64-for-208) with runners on base ... had a .307 average (51-for-166) in the seventh inning or later... Posted a .415 average (22-for-53) with a 1.162 OPS when putting the first pitch in play... Played 80 games at second base (56 starts), 73 games at shortstop (67 starts), eight games (four starts) at third base, four games at first base, and one game in right field ... all told, produced a .972 fielding percentage (15 E/528 TC)... Started at shortstop in 30-straight games from August 3-September 3, and in 40 of the team's 41 games from August 3 through September 15, while Addison Russell was on the disabled list... Had a career day, May 2 vs. the Phillies, going 4-for-4 with a triple, homer, two runs and three RBI … the four hits tied a career high. w Became the first Cubs player with four hits out of the No. 9 spot in the order at Wrigley Field since pitcher Don Cardwell on June 30, 1960 vs. the Milwaukee Braves … credit to NBC Sports Chicago's Chris Kamka... Belted his third career grand slam, May 18 vs. the Reds, off Amir Garrett ... finished the contest 3-for-3 with the slam, two runs, a walk and a season-high five RBI... Hit .291 (25-for-86) with 14 runs, seven homers and 18 RBI in 25 May contests... Recorded a career-high eight-game hitting streak, June 18-26 ... batted .419 (13-for-31) with five doubles and four RBI during the run... Tied his career high with two doubles, July 2 against Cincinnati... Hit his first-career inside-the-park home run, August 7 in San Francisco... Stole a career-high two bases, August 30 vs. Pittsburgh, including the team's first straight steal of home since Starlin Castro did so, July 15, 2010 vs. Philadelphia... Enjoyed a torrid August, batting .290 (31-for-107) with seven homers, 21 runs scored, 25 RBI and a .862 OPS in 28 games … the 25 RBI were his most in a month... Left the game, September 3 vs. Atlanta, after colliding with Dansby Swanson while sliding into second base ... missed one game before returning, September 5 at Pittsburgh... Tied his career mark with four hits, September 13 vs. the Mets, his fourth-career four-hit game ... his three runs scored also tied a career best... Batted just .077 (2-for-26) in 10 postseason games, but went 2-for-3 with two solo homers in NLCS Game Four vs. the Dodgers ... became the fifth player in Cubs history with a multi-homer game in the postseason. Javier played 142 games for Chicago, hitting .273 with a career-high 14 homers while adding 19 doubles and 59 RBI ... became just the fourth Cubs player since 1913 with at least 20 starts at 2B, 3B and SS, joining Rollie Zeider (1917), Sparky Adams (1927) and Jose Vizcaino (1993) ... swiped 12 bases, second-most on the Cubs...Notched a batting average of .296 (60-for-203) at Wrigley Field, compared to a .252 mark (55-for-218) on the road ... his .383 batting average (18-for-47) on the first pitch was tops on the club (min. 30 AB)...Registered 29 multi-hit games, sixth-most on the Cubs ... Chicago was 25-4 in those games ... 14 of his multi-hit contests were at Wrigley Field and the Cubs were undefeated in those contests...Had a 24.0 percent strikeout rate, down from a 30.0 percent rate in 2015 and a 41.5 percent mark in 2014...Became the first Cub since Mark DeRosa in 2008 to see time at first base, second base, third base, shortstop and left field during a season. According to Fangraphs, had a combined 16 defensive runs saved between all five positions ... ranked third among major league second basemen with 11 defensive runs saved, despite accumulating about 900 fewer innings than the leaders ... since the DRS statistic was developed in 2002, only one second baseman has ever accumulated at least 11 runs in fewer innings (Ryan Goins in 2013, 12 DRS in 262.1 innings)...Hit his first career walk-off homer in the 13th inning, May 8 vs. Washington (Mother's Day) ... also connected on a home run, June 19 vs. Pittsburgh (Father's Day) ... became the first Cubs batter to hit a home run on both Mother's Day and Father's Day since Jose Cardenal in 1973. Crushed a 15th-inning grand slam, June 28 at Cincinnati, the first of his career ... the grand slam was the latest by inning in Cubs franchise history, edging out a 14th-inning grand slam by Cliff Johnson in 1980 in a suspended game against Montreal...Had a career-high seven-game hitting streak (.423/11-for-26), July 9-20, in which he had four-multi hit games, two doubles and four RBI...His .325 batting average (27-for-83) in July was tops on the Cubs...Notched his first two career four-hit games: June 8 at Philadelphia and August 29 vs. Pittsburgh...Collected a career-high six RBI, including his second-career grand slam, September 26 at Pittsburgh...Was placed on the 15-day disabled list with a left thumb contusion, April 3 (retroactive to March 25) ... played in four rehab games with Iowa, hitting .267 (4-for-15) with a homer and a stolen base ... was activated, April 15, and registered hits in his first three games of the season...Started every postseason game for the Cubs at second base, batting .265 (18-for-68) with four doubles and two homers while knocking in eight runs...Belted a game-winning homer in the eighth inning of Chicago's 1-0 win in Game One of the NLDS vs. the Giants ... became the 12th player to homer in a 1-0 post-season game, and just the third to do so in the team's final at-bat (per Elias). w Joined the Yankees Tommy Henrich in the first game of the 1949 World Series vs. the Dodgers and the Indians Tony Fernandez in the clinching game of the 1997 ALCS against the Orioles...Named co-MVP of the NLCS after batting .318 (7-for-22) with three runs, four doubles, five RBI and an .833 OPS in six games. w Stole home in the second inning of Game One, becoming just the second Cub to turn that trick in postseason play, and the first in 109 years since Jimmy Slagle in game four of the 1907 World Series vs. Detroit. w Tied the club record for the longest hitting streak to open a postseason at six games, joining Moises Alou (2003) and Mickey Livingston (1945)...Hit a solo homer in Game Seven of the World Series, extending the Cubs lead to 4-1. Javier Baez was recalled by Chicago on September 1 and batted .289 (22-for-76) with six doubles and one homer in 28 games ... with Triple-A Iowa, hit .324 (91-for-281) with 14 doubles, two triples, 13 homers, 61 RBI and 17 stolen bases in 70 games. Hit a go-ahead three-run homer in the second inning of Game Four of the NLDS vs. the Cardinals ... went on to hit .333 (5-for-15) with a homer, three RBI and two steals in six post-season games. Played 17 games (five starts) at second base, eight games (five starts) at shortstop, 11 games (six starts) games at third base and one game at first base ... committed just two errors in 76 chances (.974 fielding percentage). Collected three-straight multi-hit games, September 8-11, going 6-for-12 with two doubles and two runs scored. Batted .421 (8-for-19) with four doubles off lefties compared to .246 (14-for-57) with two doubles and one homer off righties. Hit .341 (15-for-44) in 16 games on the road compared to .219 (7-for-32) in 12 games at Wrigley Field. Was 11-for-22 (.500) when seeing a pitcher for the second and third time in a game compared to .204 (11-for-54) the first time at-bat. Had a season-high three hits, September 4 vs. Arizona ... hit his first homer of the season ... collected two hits in the fifth inning, the first Cubs player in the last three seasons to accomplish the feat. Struck out 24 times in 80 plate appearances (30.0%) after striking out 95 times in 229 plate appearances (41.5%) in 2014. With Iowa, turned in a .385 on-base percentage and .527 slugging percentage, good for a .912 OPS ... hit safely in his last 16 games prior to his promotion. Suffered a non-displaced fracture in his left ring finger, June 7 vs. Memphis, sliding into second base on a stolen base attempt ... was on Iowa's disabled list until July 28. Batted .250 (13-for-52) with two homers and 10 RBI in 15 games for Santurce in the Puerto Rican Winter League ... saw time at second base, shortstop and center field (four games). Javier, the ninth selection in the 2011 draft, made his major league debut when he was selected by Chicago, August 5 ...His nine home runs in 52 games ranked tied for fourth among N.L. rookies ...Delivered a two-run homer for the World Team in the Futures Game in Minnesota, July 13...Batted .169 (36-for-213) with six doubles, nine homers and 20 RBI ...Drew 15 walks and struck out 95 times...Played 30 games (27 starts) at shortstop and made 25 starts at second base ... turned 40 double plays in 52 games...Made his major league debut, August 5 in Colorado, and hit a game-winning solo home run in the 12th inning to break a 5-5 tie...Became the first player in franchise history to hit an extra-inning home run in his big league debut, and the first player in the majors to hit a go-ahead homer in the 12th inning or later in his debut since Minnesota's Kent Hrbek on August 24, 1981 at Yankee Stadium...Became the fourth major league player to hit a go-ahead home run in extra innings in his big league debut, joining Florida's Miguel Cabrera (2003), Hrbek and California's Billy Parker (1971)...Hit two home runs, August 7 in Colorado, recording his first multi-homer effort in just his third career game...Along with his homer in his first career game two nights earlier, became the first Cub ever to hit three long balls in his first three career games...Became just the second player since 1900 to turn the trick, joining St. Louis' Joe Cunningham in 1954 ...Teammate Jorge Soler would add his name to this list later in the month...Went deep in consecutive games, August 22-23 vs. Baltimore ...Again homered in twostraight games, September 12-13 at Pittsburgh...Began the season at Triple-A Iowa, his first time at that level ... hit .260 (101-for-388) with 24 doubles, two triples, 23 home runs and 80 RBI in 104 games...In his final 20 games with Iowa following the Triple-A All-Star break, hit .342 (26-for-76) with a .395 on-base percentage, a .763 slugging percentage and a 1.158 OPS ...Hit nine home runs and collected 25 RBI...Played 11 games for Santurce in the Puerto Rico Winter League ...Hit .233 (10-for-43) with three doubles, two homers and seven RBI. Javier combined to bat .282 (146-for-517) with 34 doubles, four triples, 37 home runs and 111 RBI in 130 games between Single-A Daytona and Double-A Tennessee ... his 111 RBI and 75 extra-base hits led minor league baseball while his 37 homers ranked tied for second...Became the first minor league player in 17 seasons to reach 30 doubles, 30 home runs, 100 RBI and 20 stolen bases in the same season since D.T. Cromer did so in 1996 for the Modesto A's...Named a Florida State League All-Star, hitting .274 (82-for-299) with 19 doubles, four triples, 17 home runs and 57 RBI in 76 contests to begin the year with Daytona...Hit four home runs, June 10 vs. Fort Myers, becoming just the second player to record a four-homer game in the 94-year history of the Florida State League ... joined former Cubs farmhand Ryan Harvey who turned the trick, July 28, 2006, vs. Clearwater...Promoted to Tennessee, July 6, and in his first action at the Double-A level, hit .294 (64-for-218) with 15 doubles, 20 home runs and 54 RBI in 54 games, helping the club to a post-season berth...Although he played in less than half of the 138-game Southern League schedule, his 20 home runs ranked fourth in the league. Spent the majority of the season with Single-A Peoria, hitting .333 (71-for-213) with 41 runs scored, 10 doubles, five triples, 12 home runs and 33 RBI before a promotion to Single-A Daytona, August 4. ...Stole 20 bases with the Chiefs, and was caught just three times....Recorded a .383 on-base percentage with Peoria....Named the Cubs Minor League Player of the Month for July after hitting .368 (39-for-106) with seven home runs and 20 RBI in 28 games....His 39 hits in July were the most in a month by a Peoria player since Justin Bour had 40 hits in August 2010....Had a 16-game hitting streak, July 4-21, during which he hit .438 (28-for-64) with four doubles, three triples, six homers and 13 RBI....Named Midwest League Player of the Week for July 9-15 after hitting .478 (11-for-23) in that stretch....Played 23 games for Daytona, hitting .188 (15-for-80) with four homers and 13 RBI....Hit .211 (12-for-57) with four homers and 16 RBI in 14 games for the Mesa Solar Sox in the Arizona Fall League ... his Fall League campaign was cut short due to an injured left thumb....Was leading the league in RBI and was tied for the lead in home runs at the time of his injury. Played five games between Rookie League Mesa and Single-A Boise after he was selected by Chicago with the ninth overall pick in the draft ... combined to bat .278 (5-for-18) with two doubles and a RBI. April 15, 2016 Chicago Cubs activated 2B Javier Baez from the 15-day injured list. April 11, 2016 Chicago Cubs sent SS Javier Baez on a rehab assignment to Iowa Cubs. September 1, 2015 Chicago Cubs recalled SS Javier Baez from Iowa Cubs. July 28, 2015 Iowa Cubs activated SS Javier Baez from the 7-day disabled list. July 23, 2015 Iowa Cubs sent SS Javier Baez on a rehab assignment to AZL Cubs. April 30, 2015 Iowa Cubs activated SS Javier Baez from the bereavement list. April 9, 2015 Iowa Cubs placed SS Javier Baez on the bereavement list. March 30, 2015 Chicago Cubs optioned SS Javier Baez to Iowa Cubs. January 30, 2015 SS Javier Baez assigned to Puerto Rico. October 30, 2014 SS Javier Baez assigned to Cangrejeros de Santurce. October 30, 2014 Cangrejeros de Santurce placed SS Javier Baez on the reserve list. October 30, 2014 Cangrejeros de Santurce activated SS Javier Baez. August 5, 2014 Chicago Cubs selected the contract of Javier Baez from Iowa Cubs. July 17, 2014 Iowa Cubs activated SS Javier Baez from the temporarily inactive list. July 12, 2014 Iowa Cubs placed SS Javier Baez on the temporarily inactive list. April 20, 2014 Iowa Cubs activated SS Javier Baez from the 7-day disabled list. April 13, 2014 Iowa Cubs placed SS Javier Baez on the 7-day disabled list retroactive to April 11, 2014. April 2, 2014 SS Javier Baez assigned to Iowa Cubs from Tennessee Smokies. January 24, 2014 Chicago Cubs invited non-roster SS Javier Baez to spring training. 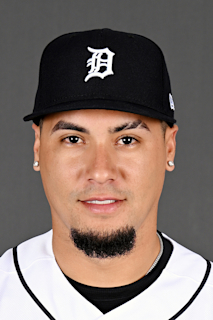 October 30, 2013 SS Javier Baez assigned to Leones de Ponce. July 6, 2013 SS Javier Baez assigned to Tennessee Smokies from Daytona Cubs. June 28, 2013 SS Javier Baez assigned to Tennessee Smokies. February 1, 2013 Chicago Cubs invited non-roster SS Javier Baez to spring training. August 4, 2012 Javier Baez assigned to Daytona Cubs from Peoria Chiefs. May 28, 2012 Javier Baez assigned to Peoria Chiefs from Boise Hawks. April 3, 2012 SS Javier Baez assigned to Chicago Cubs. August 30, 2011 Javier Baez assigned to Boise Hawks from AZL Cubs. August 26, 2011 Javier Baez assigned to AZL Cubs. August 15, 2011 Chicago Cubs signed SS Javier Baez.